To no surprise, everyone wants a piece of the Costco pie. 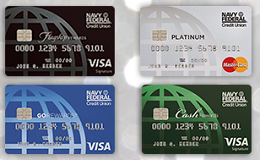 Much as Chase announced it would extend its bonus 5% cash back at warehouse clubs through the remainder of 2016, Navy Federal Credit Union announced that its cardholders would also earn an extra 2% cash back at warehouse clubs such as Costco, BJ’s, and Sam’s Club through December 31, 2016. 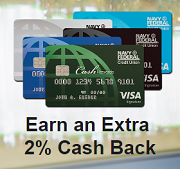 This extra 2% cash back will be awarded in the form of a statement credit on top of the rewards that the card normally awards. In a move that was perhaps overdue, Navy Federal Credit Union just announced it has dropped foreign transaction fees on its credit cards for both new and existing cardholders. For an organization with a constituency who is frequently abroad, this should be a very welcome change. As a comparison, Pentagon Federal Credit Union has not charged foreign transaction fees on its credit cards for years.